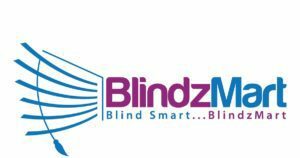 Contact Phoenix Blindzmart – Looking for the best price and service on custom window blinds, window shades, and plantation shutters? Look no further, you have found it! To schedule a free shop-at-home consultation with one of our window treatment professionals; fill out the form below, and one of our window blind professionals will contact you. In addition, you can reach us by calling customer service at: 480-883-6278. *Please note: Because we are a local blinds company, orders cannot be placed online from this website. Also, we do not sell blinds online or ship blinds, because, we are a shop-at-home service. We are a local blinds company in Phoenix and only service the Metro-Phoenix area of Arizona. So, to schedule a free price quote, please call customer service. Also, we provide free in-home service to customers in the metro-Phoenix area. Therefore, if you would like to schedule a free in-home consultation, please call 480-883-6278. One of our window treatment experts will come to your home and professionally measure your windows; while you browse our selection of blinds, shades, shutters and window treatments; then give you a free estimate. Also, free installation is always included on all purchases as well. In addition, we do not repair blinds or have blinds parts. Also, we do not sell ready-made blinds, all our blinds are custom made. Our service area includes; Phoenix, Mesa, Chandler, Gilbert, Glendale, Scottsdale, Tempe, Peoria, Surprise, Avondale, Goodyear, Buckeye, Casa Grande, Maricopa, Apache Junction, El Mirage, Queen Creek, Coolidge, Florence, Fountain Hills, Paradise Valley, Carefree, Cave Creek, Litchfield Park, Tolleson, Anthem, Sun City, Sun City West, Sun Lakes, San Tan, San Tan Valley, and surrounding areas.